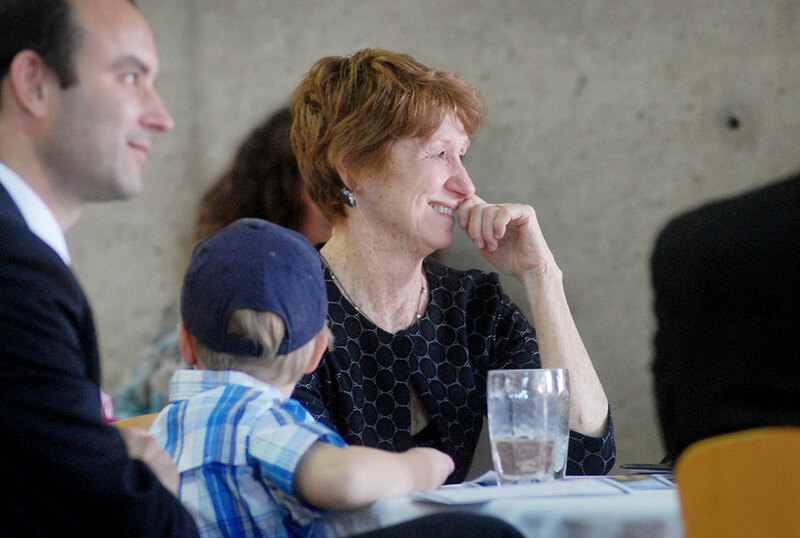 A celebration of the leadership of Barbara E. Murphy was held on April 28, 2015 as a forum to say thank you and goodbye to the retiring Johnson State president of 14 years. To kick off the event, local band Up on the Roof played a few songs before the JSC Chamber singers, conducted by Assistant Professor of the Performing Arts Bethany Plissey, sang the JSC Alma Mater followed by a few other musical renditions. Following the performances, a series of staff, faculty and colleagues stood up to voice their appreciation for Murphy’s leadership, and to recount some of their memories. Stories like this, among so many others, painted a picture of the type of leader Murphy has been, and the person she will continue to be. Professor of Writing and Literature Tyrone Shaw described Murphy as a deeply dedicated leader both in her time at CCV and JSC with an unwavering commitment to higher education. A number of other people spoke at Murphy’s retirement celebration including Director of First-Year Experience Margo Warden, Dean of Academic Affairs Daniel Regan, Professor of Behavioral Sciences Gina Mireault, Professor of Fine Arts Ken Leslie, Professor of Writing and Literature Liz Powell, Johnson Selectboard Chair Eric Osgood, Retired President and CEO of VSAC Don Vickers, Vermont State College Student Trustee Alyssa Slaimen, VSC Board Chair Martha O’Connor, and Castleton College President David Wolk. All who spoke thanked Murphy for her many years of service to the college, and showed their appreciation for the way she chose to lead the college. After everyone had a chance to speak, a video tribute created by Marketing Design and Product Manager Eric Kirk broadcasted a special thank you entitled “Dear Barbara,” from students, staff and faculty wouldn’t be able to speak at the event in person. At the conclusion of the event, the guest of honor, Barbara Murphy, stood up to say a few words. For those who would like to view the “Dear Barbara” video, it can be found at www.youtube.com/watch?v=7skHY5I9H6I.